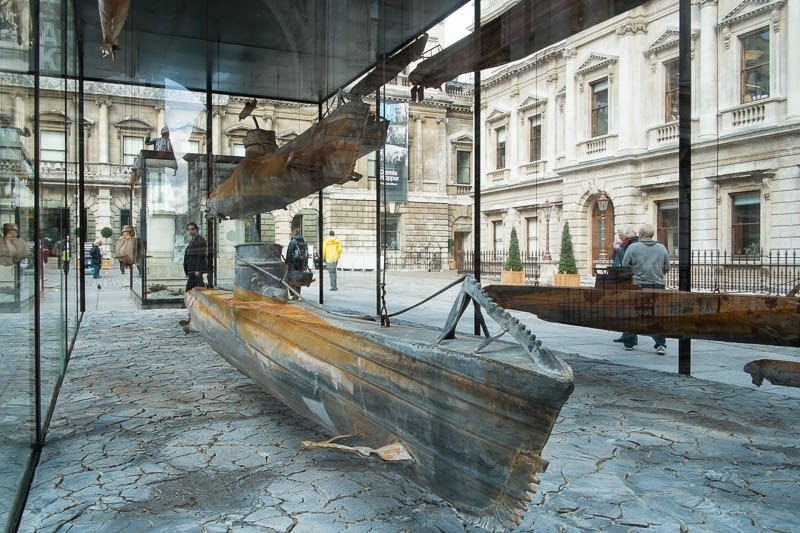 If you are visiting London in the next couple of weeks take in the exhibition at the Royal Academy of Anselm Kiefer's work. Read about him and his work here. The exhibition is on until 14 December. I'll not be back in time to see it so do let me know what your impressions are for those who do get to see it. They do remind me of subs. This is going to be a looooong trip for you, eh? The exhibition should be a good one. Too bad you won't be there for it.